Toddlers and young children will love interacting with the friendly touch-and-feel dinosaurs in this sturdy board book from "Ladybird". This book lets you to have fun reading the rhymes together and finding the feely areas on the dinosaurs each time. Feel a spiny back or touch a bumpy horn as each little dinosaur is different. Then think of a name for the last little dinosaur at the end! This is a perfect first touch and feel book for all young dinosaur fans. 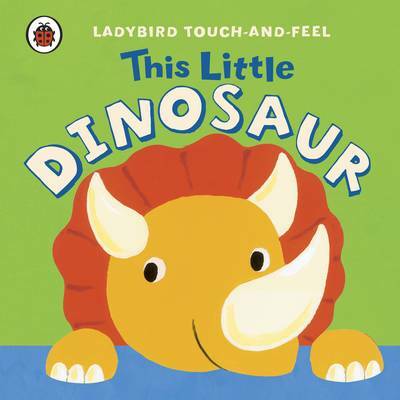 "This Little Dinosaur" helps to develop sensory and language awareness in preschool children.